On this Labor Day holiday in the US, below is a partial list of government projects and programs that contribute greatly to the ease of life in the US. Our labors and our lives are much easier due to these. Interstate Highway System -- entirely government funded, more than 20 years duration; saved countless lives in fewer automobile collisions, saved countless gallons of gasoline and diesel fuel as cars and trucks no longer were required to stop and creep through every small town. Efficiencies in transportation are ongoing; savings in travel time also. Rural Electrification Act - brought electricity to almost all of America's farms and ranches over a few decades. Utilities could not afford to build the transmission and distribution lines; the government stepped up with the money. Hoover Dam - entirely built with government funds and materials; the dam is still providing water storage, boating and other recreation, flood control, and hydroelectric power at very low prices. Bonneville Power Administration - BPA built dams and hydroelectric power plants in Washington State; providing decades of low-cost electricity. TVA, Tennessee Valley Authority - Like the BPA above, the TVA built a number of dams in the Tennessee River Valley to control flooding, store water, and generate hydroelectric power at very low costs. 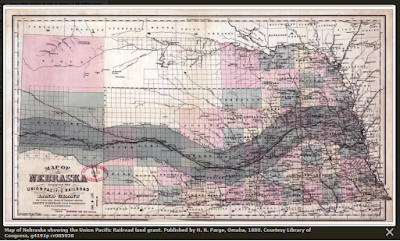 Land-Grant Railroads - the US government made free land one of the incentives for railroad companies to build tracks across the US in the late 1800s; the railroads received 10 square miles of land for every mile of track they installed. Connecting the country by rail coast-to-coast had enormous economic benefits that endure to this day. See Figure 1. Land-Grant Universities - the government granted land to each state to build a college or university; approximately 20 million graduates have and had better opportunities with their college degrees. GI Bill - Government paid for college costs for military veterans under the GI Bill program; similar versions still exist; many thousands of veterans have better lives due to this program.